How to watch It's a Wonderful Life (1946) on Netflix Argentina! 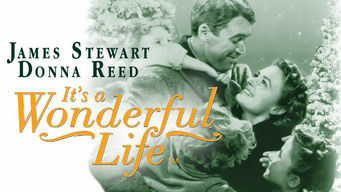 Yes, It's a Wonderful Life is now available on Argentine Netflix. It arrived for online streaming on October 7, 2017. We'll keep checking Netflix Argentina for It's a Wonderful Life, and this page will be updated with any changes. When a guardian angel finds a dejected George Bailey poised to jump off a bridge, he shows George what life would've been like had he never been born. Success isn't measured in money but by the difference you've made. Meet a good man who needs to learn that lesson.